In 1943, when his landing craft beached to unload, Motor Machinist’s Mate Second Class William Stark was at his station as a gun captain of an anti-aircraft gun at the stern of the ship. Hearing the roar of the engine of a Japanese dive-bomber directly above him, Stark looked as “almost simultaneously an explosion just a few feet off the stern drove mud, rocks, and seaweed high into the air. I remember the feeling of compression all over my body.” Crediting his helmet and ear protection with saving at least his hearing, Stark suffered internal injuries and never truly fully recovered, and hardly able to remember anything for the next few months after that. After recovering as much as possible in a convalescent hospital, Stark was discharged and returned home in 1944 where he was reunited with his sea bag. 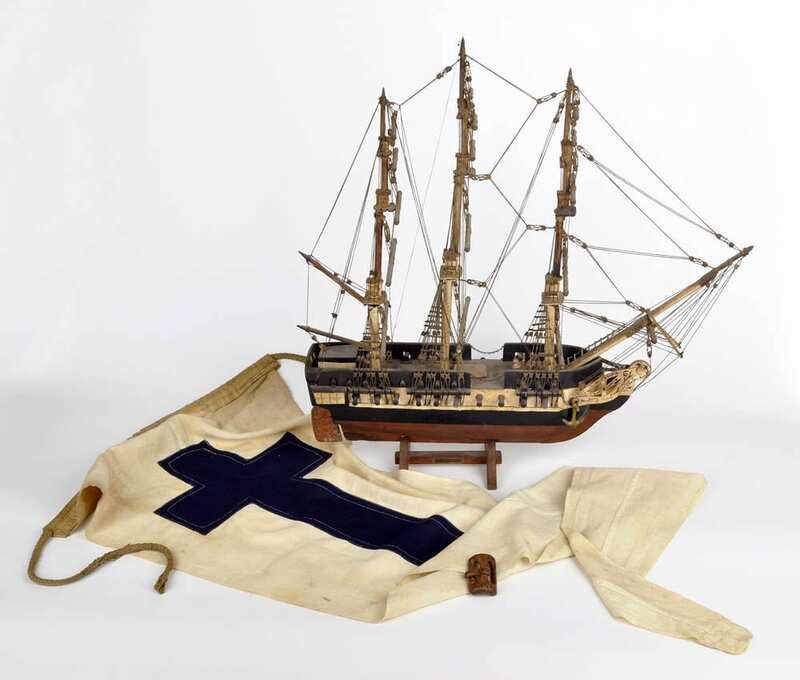 Having not seen it since before the explosion, he unpacked the contents and came across a long-forgotten pennant that perhaps was part of the reason his life was spared that day the year before.